Emily Schwing comes to the Inland Northwest by way of Alaska, where she covered social and environmental issues with an Arctic spin as well as natural resource development, wildlife management and Alaska Native issues for nearly a decade. Her work has been heard on National Public Radio's programs like ''Morning Edition'' and ''All things Considered.'' She has also filed for Public Radio International’s ''The World,'' American Public Media's ''Marketplace,'' and various programs produced by the BBC and the CBC. She has also filed stories for Scientific American, Al Jazeera America and Arctic Deeply. Emily got her start in radio as an intern at KUER-FM 90 in Salt Lake City, Utah. She also pursued internship opportunities at National Public Radio and Deutsche Welle Radio in Bonn, Germany. After graduating with a Geology degree from Carleton College in Northfield, Minnesota, she went on to study Natural Resource Management at the graduate level at the University of Alaska, Fairbanks. When she is not chasing down quirky news stories, you can find her off the beaten path skiing, biking or running in the backcountry with her long-time canine companion, Ghost. Emily also has 300 hours' worth of certified interdisciplinary training in Hatha Yoga from the Nosara Yoga Institute in Costa Rica. 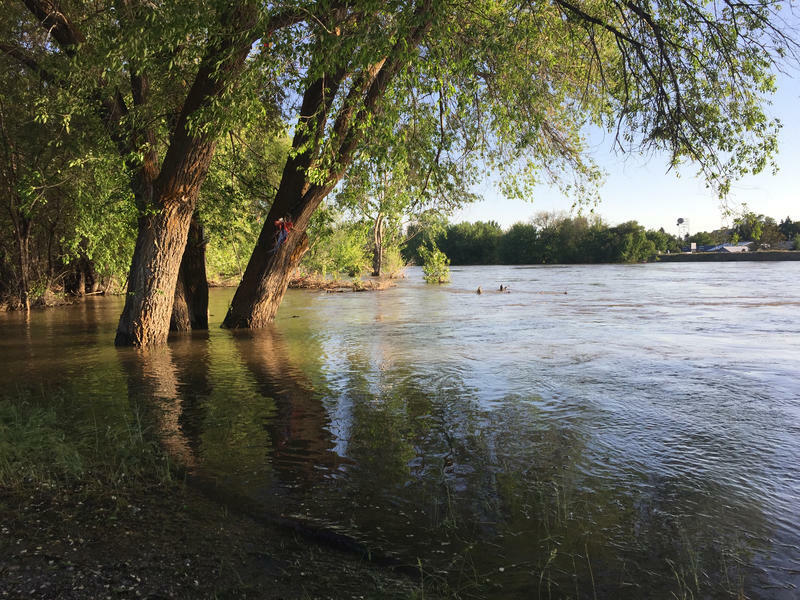 A number of rivers in north central and eastern Washington are in imminent danger of flooding. That’s because spring temperatures have soared into the upper 80s and Canada’s near record snowpack is melting fast. Flooding hasn’t been this bad in the Okanogan Valley since 1972. This week, forecasters say, it could get close to breaking that record. 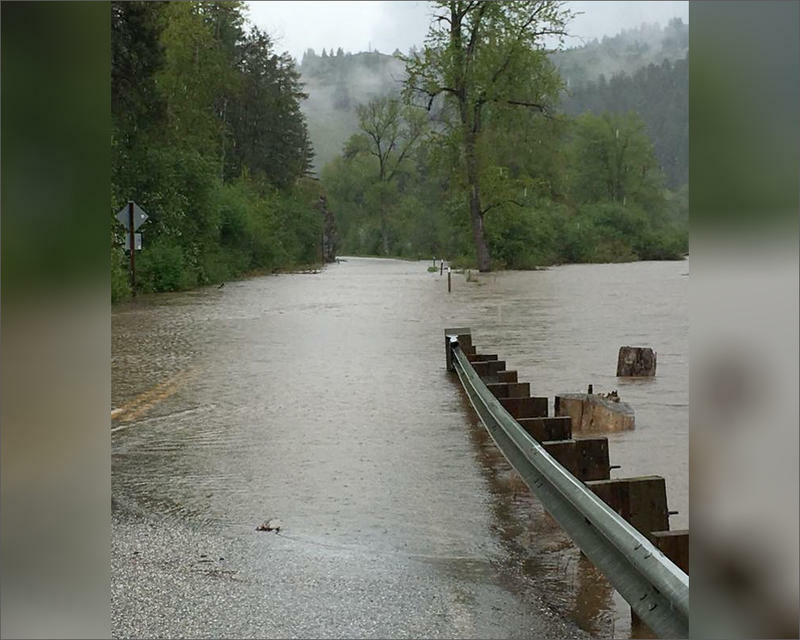 Towns in central and northeast Washington are under flood watches as rivers swell from rapid snowmelt in the mountains. 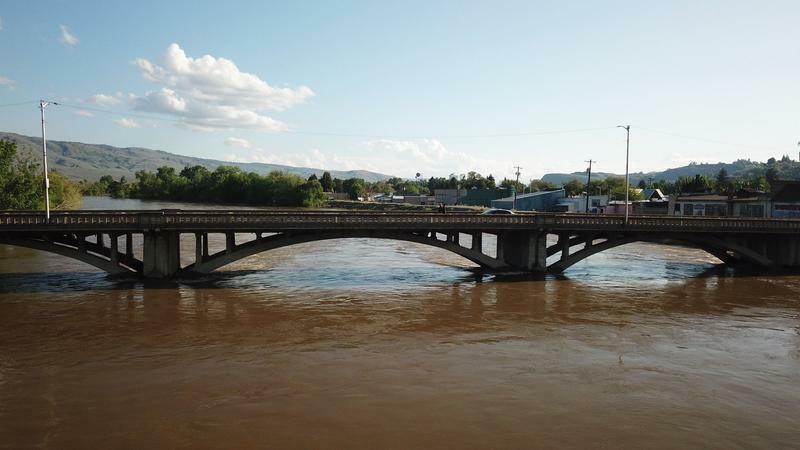 In the small Washington border town of Oroville, the Okanogan River is above flood stage and the river is expected to begin flooding south as the week progresses. 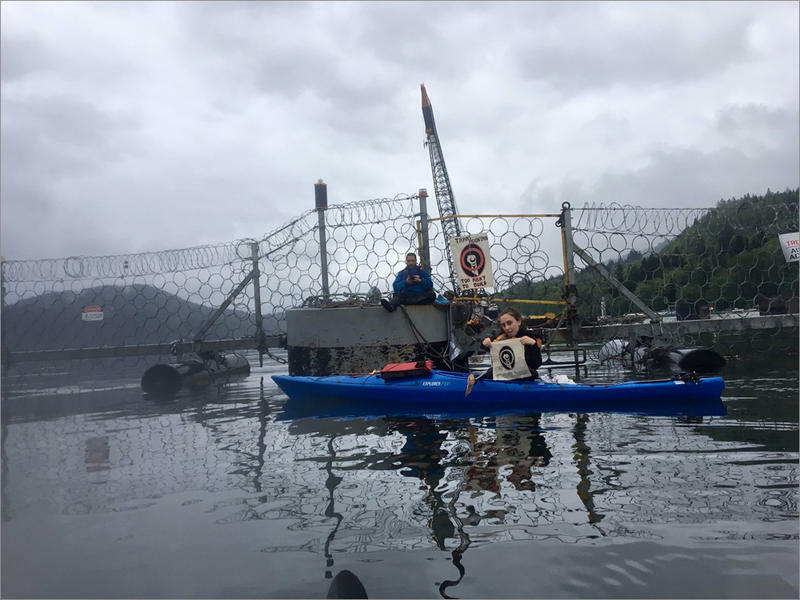 Demonstrators took to land and sea in British Columbia Wednesday as energy giant Kinder Morgan hosted shareholders at an annual meeting in Texas. In Houston, tribal leaders voiced their opposition to the company’s proposed expansion of the Trans-Mountain Pipeline—a project that could increase the amount of crude oil shipped to Washington state. 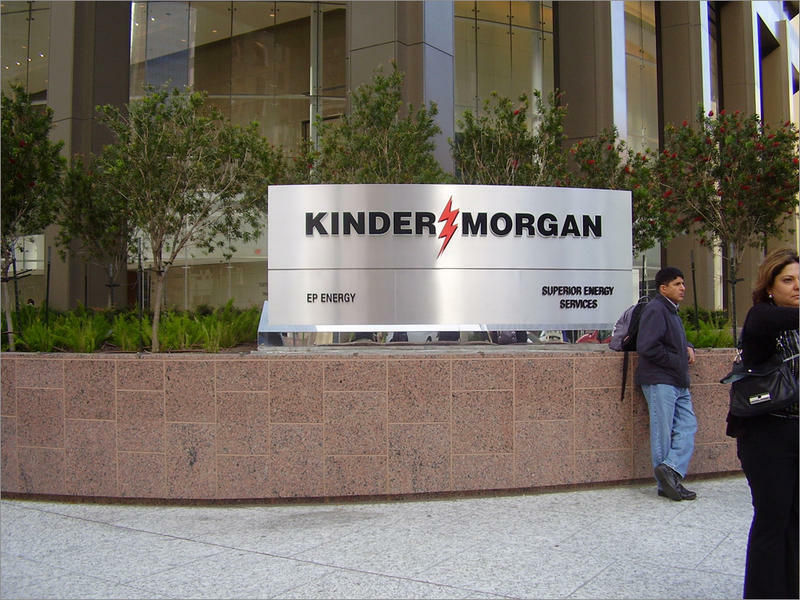 Tribal leaders from Canada are on their way to Texas to warn Kinder Morgan stockholders against expanding its controversial Trans Mountain Pipeline project. The pipeline brings Canadian oil to Washington state. Washington Supreme Court justices will be in northeastern Washington Tuesday to hear three cases in Nespelem, where the Confederated Tribes of the Colville are headquartered. 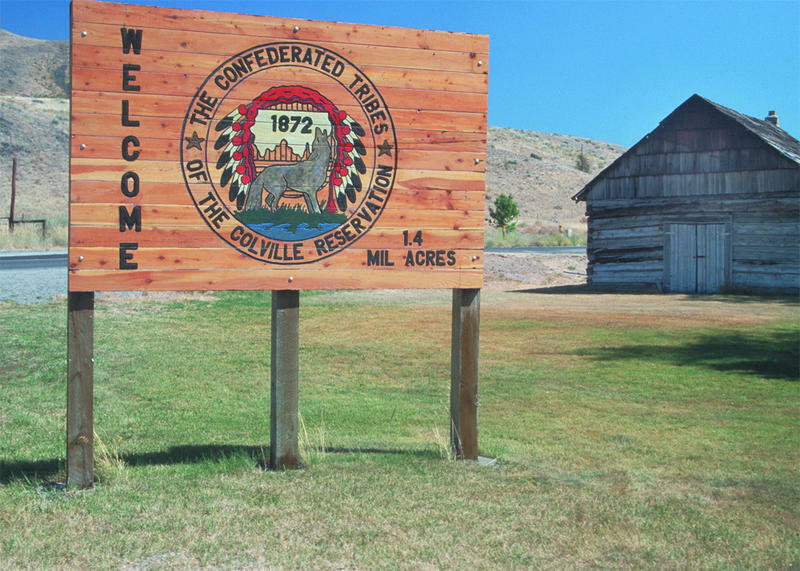 The Confederated Tribes of the Colville are celebrating an expansion of their sovereign rights. 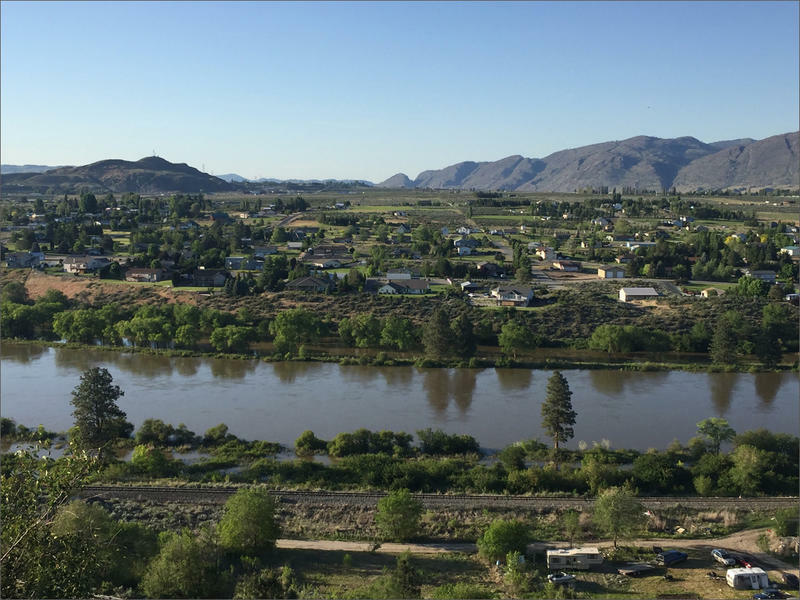 The federal government has granted them jurisdiction over water resources on tribal lands in northeastern Washington state. 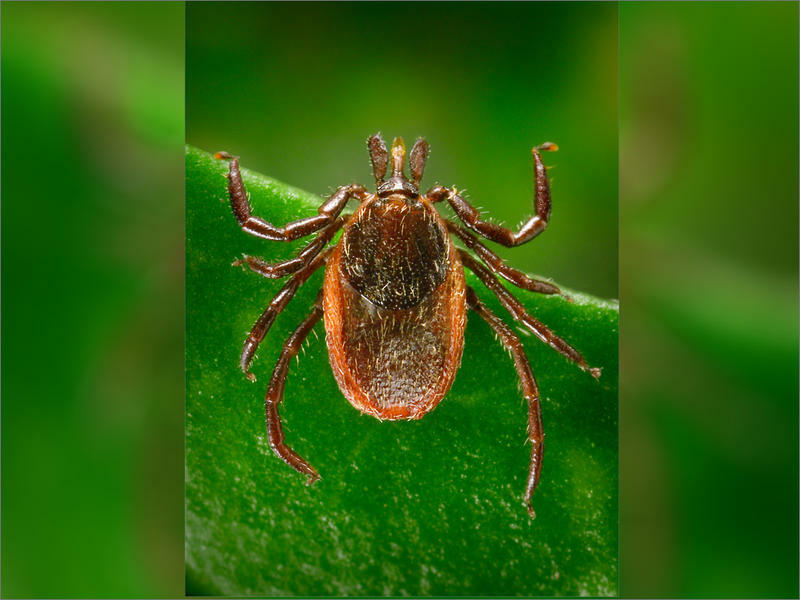 As tick season reaches its peak in the Northwest, a new report from the Centers for Disease Control says diseases spread by tiny creatures like mosquitoes and ticks have tripled in the U.S. over the last 14 years. A disease that affects wild elk populations has been spreading in Western Washington for a decade. 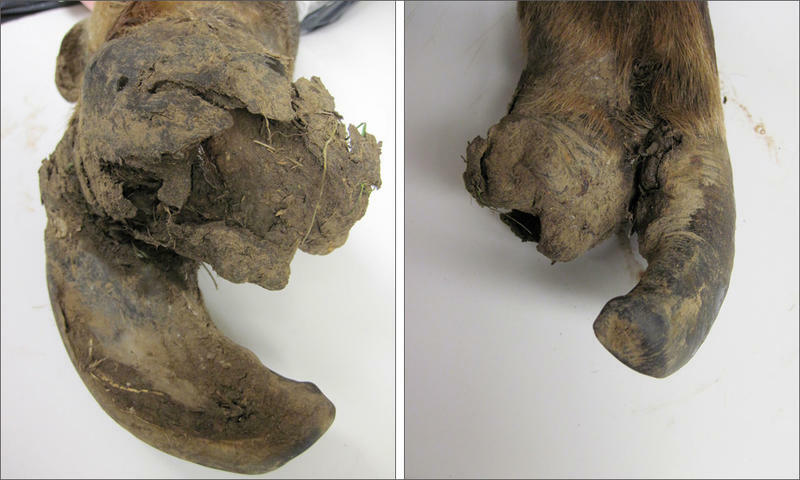 Now, wildlife managers say they have found evidence of elk hoof disease east of the Cascades.